Spruce up those old turkey calls in your turkey vest. 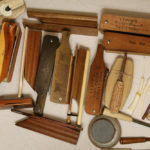 Box calls, slate pot calls, trough calls, wingbones, scratch boxes and old strikers are candidates for some repair and refitting if you’ve put them aside over the years. One of your old turkey calls that’s been collecting dust for years might just be the ticket for you to hook up with a gobbler this season. Don’t throw out those old wingbones, boxes and slates. 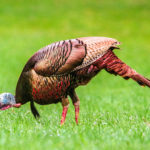 With a little TLC, you might have something in your turkey vest that will goad a gobbler into making a fatal mistake. During a recent hunt in the Homochitto hardwoods of Franklin County, my hunting partner Shane McCullough and I weren’t having any luck luring in a tom. We heard several on the limb, but they were quickly joined by hens and went silent. By mid-morning, I had given up and asked Shane if he was ready to go. He didn’t say anything but instead reached in his vest and pulled out an old wingbone call. He ran it once, and a tom hammered back with an earth-shattering exclamation from less than a hundred yards away. 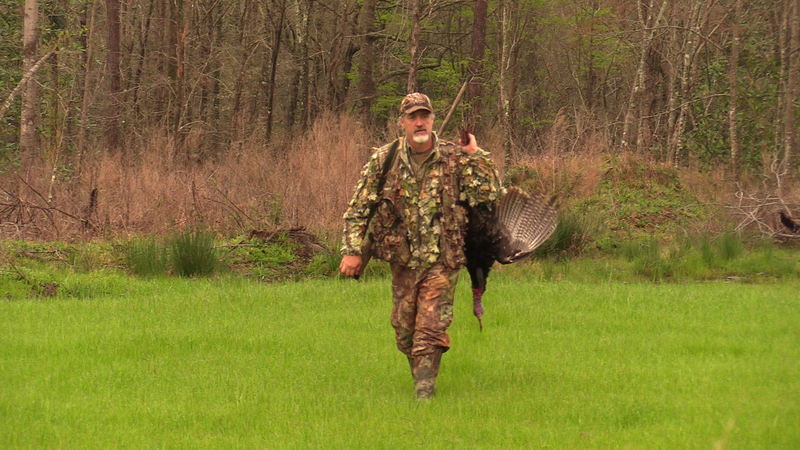 Shane hit it again, and the rest was history—the tom strutted straight in, and Shane smacked him at 25 yards; I captured it all on video. I have an old wingbone call, but it wasn’t doing any good tucked away in a box with other old calls. When I got home, I dumped out that box. I’ve spent a fortune over the years and laid them aside and over time, forgotten them. 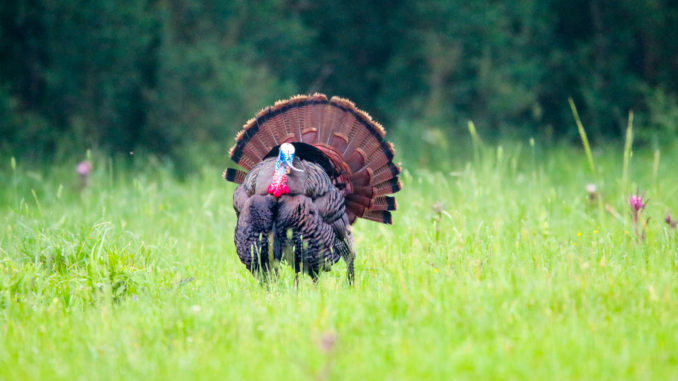 I bet you’re the same way; you’ve probably accumulated a good stash of turkey calls. Anyone that’s hunted a few years will. How many have you laid to the side? You should consider doing what I decided to do — clean and condition them —practice and put them back to use. Most old box calls were made from tight-grain cedar or walnut and were double-sided. The Lynch World Champion and Ben Lee Twin Hen are boxes many hunters may have laid aside. Some even older box calls were homemade. If you’ve inherited one of these, consider yourself lucky. You have a real treasure. Old boxes won’t go bad if they’ve been kept from moisture, but they may need a little maintenance. There’s nothing like old slate sitting in a seasoned wood pot. Older slate pots weren’t mass-produced but were made like today’s custom call,s featuring good wood and good slate. Any striker that accompanied older slates should be of excellent quality, but if you want to get a different sound out of an older slate, mix it up with different strikers. Try it with strikers you already have stashed. You can buy other strikers: laminates, exotic woods, or carbon. It may surprise you at the new sound you can get from old slate. Trough calls are friction calls and have a strip ­— usually slate, aluminum, or copper — that sits in a wooden trough. Many older ones came with a corn-cob striker. Like the pot calls, you can swap out the strikers to get a lot of different tones and pitches. These calls are excellent for close-in hen talk, like cluck and purrs. They’re also good for yelping, cackling, and can’t be beat for excited cuts. Some old tube calls were homemade from small, metal-cylinder snuff cans. A half-moon shape opening is cut in the lid and a piece of latex is stretched across the opening, held in place by a rubber band. It’s a simple call with a great sound. These calls are great for yelping and cutting. The volume produced from these little jewels is unbelievable. 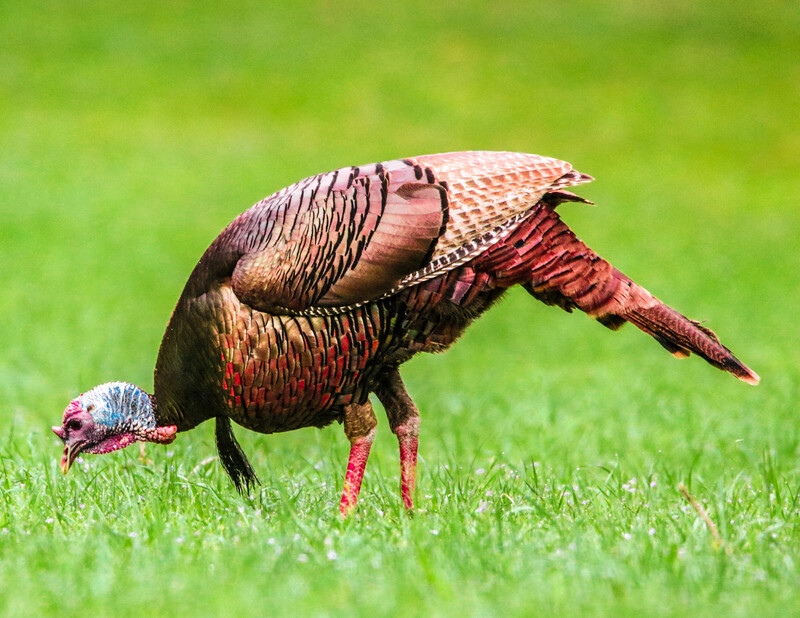 A tue can reproduce most of the sounds that a turkey makes—even the gobble. Call-makers like the late Kenny Morgan used this design and produced wood versions like The Morgan Call. Tube calls are still made today. The wingbone is the oldest turkey call man has used. 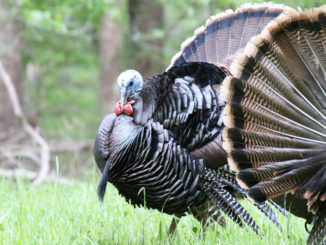 The National Wild Turkey Federation said it’s the original turkey call used by Native Americans to put turkey dinners over the fire. NWTF’s Winchester Museum houses the oldest-known wingbone call, one dating back 4,000 years. 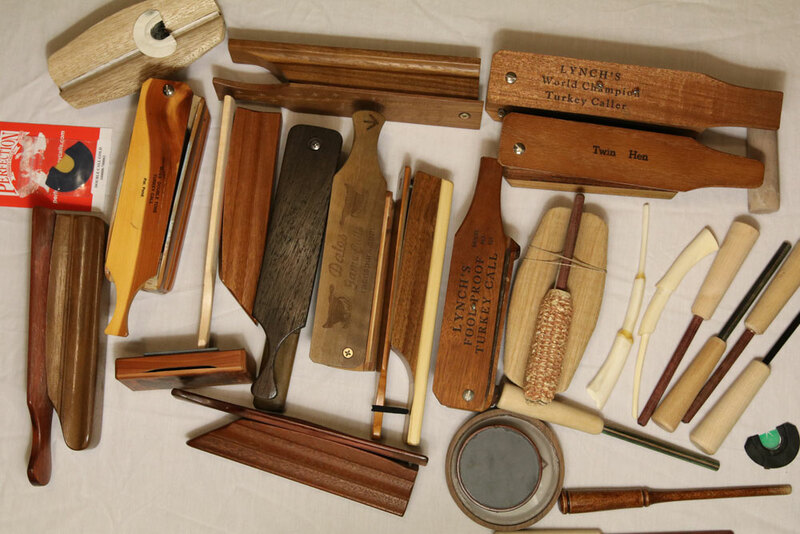 The wingbone was the most-common turkey call used until the 1960s, when other calls became popular. The wingbone is great for yelping. Once mastered, hunters are able to cackle, cut, cluck, purr and kee-kee. It has a sound that’s distinct, and its pitch is unique. 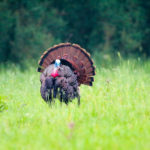 It’s a great locater call; most times a gobbler can’t resist answering, especially the first time he hears it. Small in size, simple in design, the scratch box, aka coffin box, delivers the best cluck out of any calls. It’s hard to tell the difference between the cluck of a scratch box and the real thing. It also gives a solid yelp. The pitch depends on the type wood it’s made from. Cedar, the most common, gives a high pitch, while walnut will give a deeper yelp. These two-piece calls are usually a rectangular shaped hollow wood chamber with striker lip and a solid wood striker piece. Every scratch box has its own unique sound. They can still be found, but your old-time ones will have the classic sounds from the good old aged wood. Break out all your old calls and scatter them across the floor and get down to business. Clean ’em up, chalk ’em up, and practice, practice, practice. There’s no need to leave these old calls in retirement. 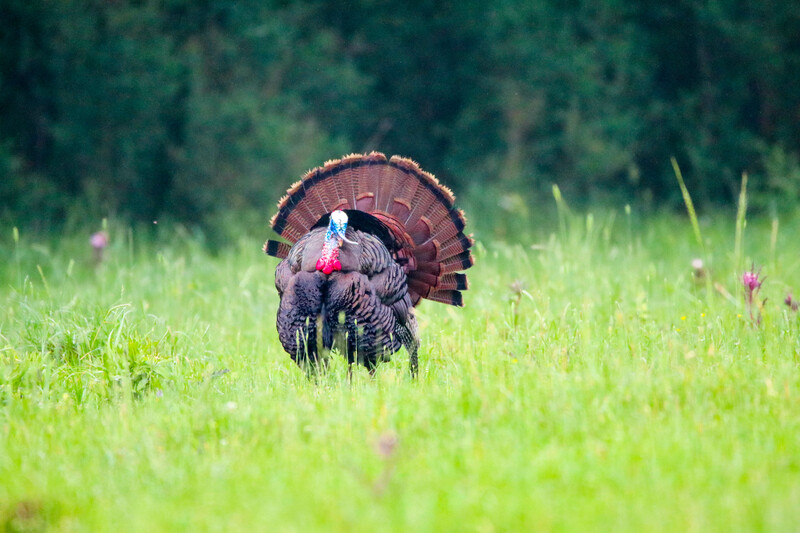 Bring them back to life for some hot turkey hunting action. You may find that you’ve developed better calling skills since some of these calls were set aside. You could discover that your best call has been sitting idle for too long. Just a heads-up: you may need a turkey hunting vest with more pockets.